Just look at this drink like… an early Christmas present from me to you, in August, when summer is winding down. One you are sooooo going to appreciate this time of the year. And gradually fall in love with , and then be “jolly happy” with, during this holiday Season. I wanted to wait till the holidays to post this, and then I kept going back to it over and over again. Just decided to bite the bullet and go for it. Although sorrel is mostly enjoyed during the holidays, I think this is the perfect time to get acquainted with this drink. 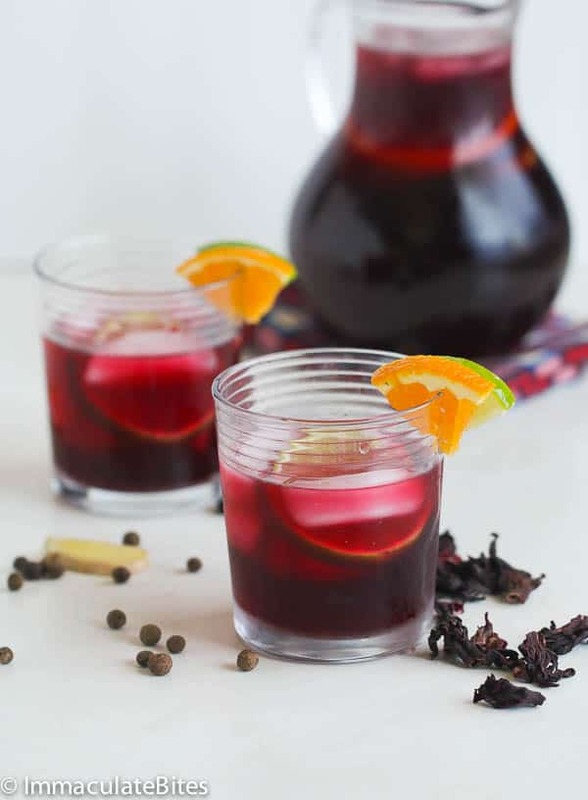 Sorrel Drink is dark red, a little sour, with a raspberry like flavor; made from the petals of sorrel plant (flor de Jamaica)” or hibiscus plant flower as popularly known in West Africa. 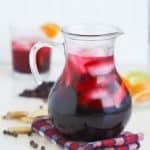 In Nigeria, it’s referred to as Zobo drink, in Jamaica and throughout the Caribbean Island it’s known as Sorrel Drink. You can get the tea version in your grocery store, labeled hibiscus tea. It’s a fairly nutritional drink, rich in Vitamin A&C, magnesium, calcium, and potassium- however, that’s not its selling point. The Benefits may lure you in, but the taste will keep you coming back for more. It ‘s, tart, citrusy, spicy and sweet. And may I add it ‘s good and refreshing or should I say refreshingly good. The Dried version is just as good as the fresh ones. No worries! For mortals like us, it’s works fine. This is a just a guide, you may add more or less flavoring, water to suit your needs, make it work for you , there is no formula for it. During the holidays it is a must to throw in some rum to make it a true festive Caribbean Drink. Place sorrel in a large bowl, together with ginger, lime, pimentos (all spice and cinnamon stick. Heat up water in a kettle, pot or microwave, until it boils. Gently pour boiled water to the bowl of Let steep about 45 minutes or more. You may refrigerate overnight in the fridge for a more potent flavor. Add simple syrup as needed, together with rum according to preference and orange slices. These petals are becoming increasing available that I can easily get them at most major and whole food markets, depending on the neighborhood store. My bet is most International Markets do carry them- African, Caribbean, Hispanic and some Asian markets. The Dried version is just as good as the fresh ones. This is a just a guide, you may add more or less flavoring, water to suit your needs, make it work for you , there is no formula for it. You’re welcome. Happy to have you here. Enjoy! I just started growing “Sorrel” this year. Hibiscus sabdariffa ‘Roselle’ (or Roselle) is what to look for if you want to grow it. I am sold-out for the year, except seeds. I will grow much more next year. 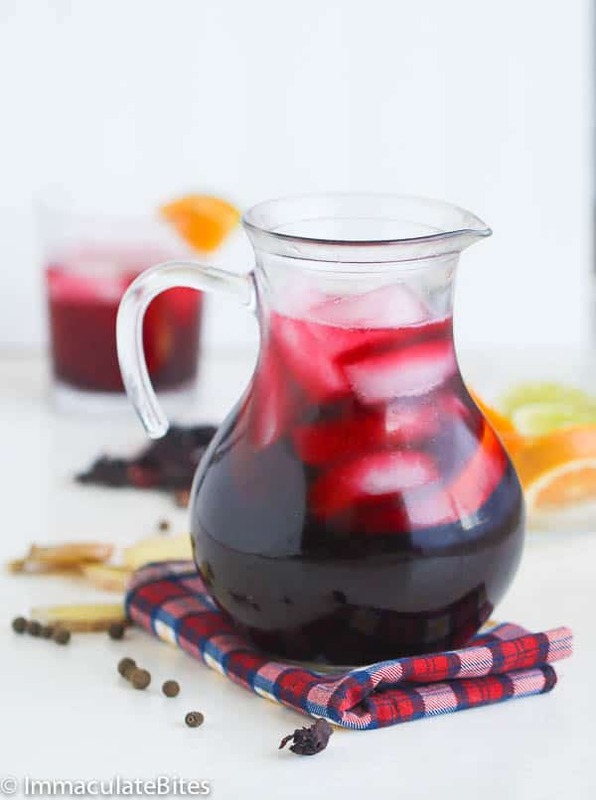 I make Sorrel a drink that is in my refrigerator all year around. Never included lime but I will try it . Rich in vitamin C the potence in sorrel is very deficical.the older it gets the better it taste. Hi Tanya! Thanks for sharing!! My 83 year old uncle recently turned me onto Sorrel juice. He soaks the sorrel pedals in water over night, drains, and just adds sweetener. I love the color & the taste. It is so refreshing. Since then, I’ve seen many recipes on-line calling to boil the sorrel pedals. Does boiling make that much of a difference? Does it make the juice more potent? It really doesn’t if you soak it over night. Thanks for the time to share your thoughts with us. Thank you so much for this recipe. My regular Jamaican spot only sells sorrel drink at Christmas, and last year, they didn’t even do it! 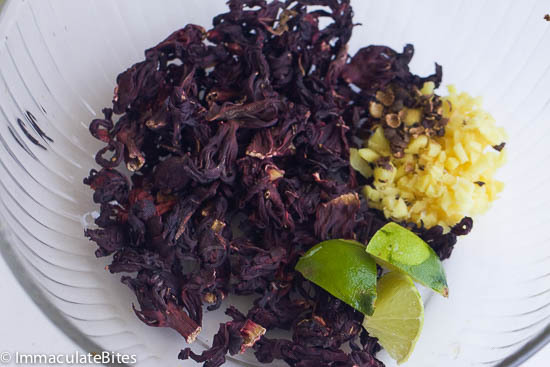 But just today, my butcher must have come into a shipment of bags of sorrel blossoms because he was having a crazy sale, and now, I can make my own! Best case! Nothing beats homemade. AND you can spice it up however you like. Cheers!!!! I absolutely LOVE Sorrel. I had it when in Jamaica, but failed to ask what it was, as a result I didn’t think I would ever drink it again. Low and behold a few years later a friend had a BBQ gathering at her home & served Sorrel. We now have it a few times a year. The only place we have ever found the hibiscus flower is at Mexican Markets. I am a bit worried! As much as I love sorrel, lately I’ve had doubts about the drink. Reason is because, when a little bit of (ready made) sorrel is added to a bit of water, it turns darkish, like it contains dye. This never happened in the past, cause I grew up drinking sorrel in Dominica. Maybe am just paranoid, because lately Chinese are injecting foods, and adding dangerous stuff to some of the foods we eat, which is a big cause for concern. My question is: Do you all think they may be adding dye to the sorrel as well? With fake eggs, plastic rice, white gluey substance is shrimps, injecting fish, fake beef, fake lettuce, fake milo etc, can anyone blame me for asking? Don’t be afraid Donna. Buy it at an Hispanic market. There it is called Jamaica. So, so delicious. My aunt suggested it to me for a friend’s hypertension and allergies. Sorrel tea was so good, we drink it now just for the taste. We can’t get enough. Hi Heather! Thanks for taking the time to share this with us . My family is from Tobago.. ..of Trinidad and Tobago. I drink it my whole life dad made it all the time. I thought everyone drunk it when I was little. But I thank my dad for all the healthy drinks and food he has bestowed upon me. I thought it was a Tobago thing, didn’t know Jamaicans drink it also. 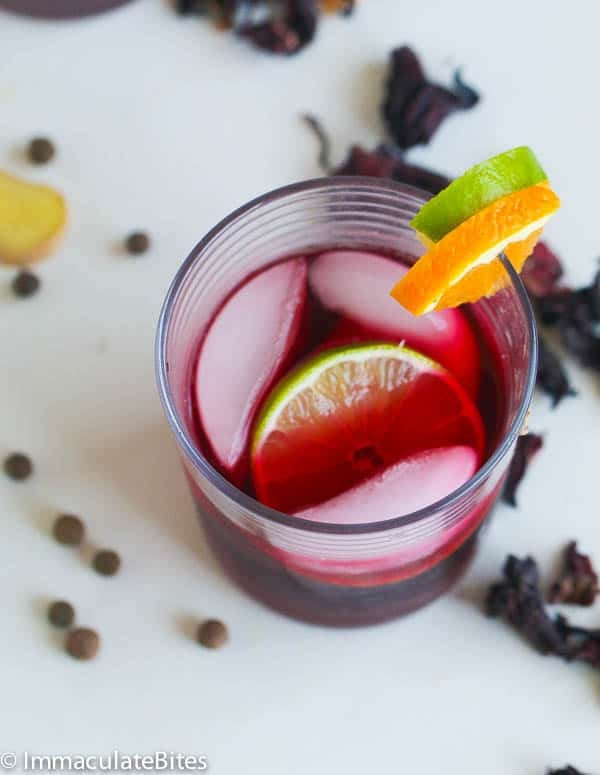 If you are ever able to get the fresh sorrel, to make this drink, you will fall even more in love with it. I love the colour! 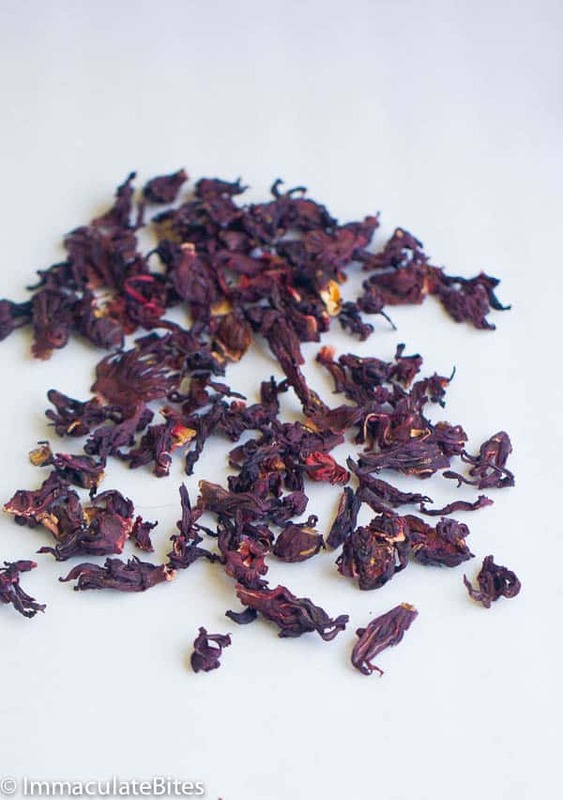 I drink a lot of hibiscus tea, but never knew it was sorrel. When I saw this post I was actually wondering what exactly sorrel was. Hibiscus teas was very popular when we were traveling through Turkey. What are the “cracked pimentos”? Is that whole black peppers corns? Pimentos are often found in most stores under the name “allspice ” . They are one and the same. yummy, one of this would make my Friday evening perfect! I’m so glad you decided to share this now, instead of waiting for the holidays! 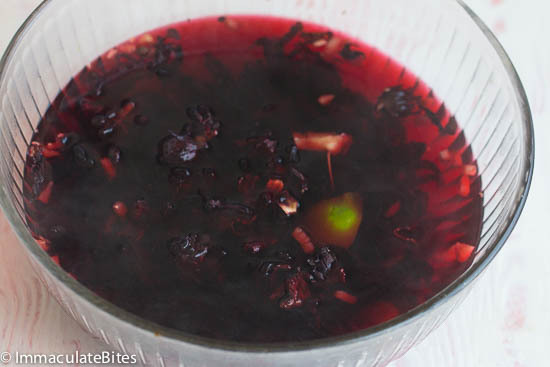 I’ve never had sorrel juice, but it looks and sounds wonderful! I just love that gem-like color! So glad you agree with me Kathleen!